THIS IS NOT THE COCA-COLA COMPANY OFFICIAL PRIZE NOTIFICATION 2010. There isn't any such thing. These are always scams, no exceptions. We are displeased to inform you of the result of the just concluded annual final draws that were never held by Coca-Cola in conjunction with the British American Tobacco Worldwide Promotion, your email was among the hundreds of annoyed people who each won absolutely nothing on THE NONEXISTENT COCA-COLA COMPANY PROMO- TION. The results were never released and your email was not attached to ticket number OMG/STFU and ballot number OMG/STFU. The online draws was not conducted by a random selection of email addresses from an exclusive list of 0 (Zero) E-mail addresses of individuals and corporate bodies not picked by an advanced automated random computer search from the internet. However, no tickets were sold [that's the truth], and no email addresses were assigned to different ticket numbers for representation and privacy. The selection process was not carried out through random selection in our Computerized BS Machine (SCAM) from a database of less than 1 (one) email address drawn from nowhere at all. This nonexistent Lottery is not approved by the British Gaming Board and also not Licensed by the International Association of Gaming Regulators (IAGR). This nonexistent lottery is a scam, we know it's a scam, and we fully intend to rip-off the ignorantpublic. You do not need to claim anything since nothing has been deposited and there is nothing to claim. You will not have to fill the form below and send it to the Promotion Idiot of THE COCA-COLA COMPANY for nonverification and then you will not be directed on how you cannot claim your nonexistent funds. We don't know why we put the form down there, we're just idiot felonious dumbasses and we thought it would look nice. Please you are advised to not complete the form since it would be a complete waste of your time and ours, and do not send it anytime soon to our Promotion Idiot through email for no collection of your nonexistent fund. *Staff of Coca Cola and the British American Tobacco Company are not to partake in this Lottery [That's for sure]. Remember: If you didn't go to the store and buy a paper lottery ticket for yourself, then you didn't win. No one chooses e-mail addresses as lottery winners. This is to inform you that you are a lucky winner of the on going Guinness National Promo which was organized to celebrate 250 years of global Guinness Premium Brands, Extra foreign stout (FES) and Guinness Extra Smooth (GES) for our new year patronage. Your email was selected as one of 12 international winners, Therefore, Your Email won you the sum of One Hundred Thousand Great Britain Pounds (100,000.00 GBP) which is equivalent to 151.99878401(USD). To claim your winning prize please contact your claim agent with his contact email address below. 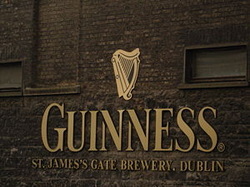 Congratulations from the entire staff of Guinness Co.
Niteco is an offshore software development company located in Sweden, Vietnam, and the U.S. The company has nothing whatsoever to do with Coca-Cola. Shqiptar.eu is a European Union domain. Here is the Google translation. It's some sort of "news" site where you can sign up for free e-mail. They claim to have 100,000 e-mail addresses so far. Again, it has nothing to do with Coca-Cola. Notice again, how they are using 'J' in place of '£,' the British pound sterling symbol. Don't help them, let them figure it out on their own. No, you haven't. How can you tell that these damned things are scams? It's really pretty easy. The first thing to do is to immediately be suspicious. Assume it's a scam right off the bat, and you will be right close to 100 percent of the time. See if it makes any sense. For example, lotteries are only approved by governments. Within the United States, each individual State can run a lottery, if it is approved by State Legislature. The central authority for the State Lottery is usually in the State's capital city, but not always. The U.S. government does not run any "National Lottery" as many other nations do. Nowhere in the world, however, do corporations or other businesses run any sort of lottery. They are in business to make a profit, not to give money away. Whenever they do give a great deal of money away, they have some money to burn after all their expenses have been paid, and this is an advertising practice known as philanthropy. Giving money away in this manner tells people that the business is doing very well, above and beyond how they normally do. Money is not ever given away to individual people; rather, the money is given to worthy causes, so that other people will notice, and give the business public credit in the media for doing so. The scammer might be in the United Kingdom, even though a UK phone number is listed, but probably not. See why below. This is yet another free Microsoft Live e-mail address, not Pepsi. This just adds to the evidence that yes, this is indeed a scam. The first one was already a big red flag. This link (JustLottery.com) also has nothing to do with Pepsi, and it is not a lottery. It is simply a company that provides countries, and States within the U.S., with lottery software. See this link. It's the main page on the same website. "UltraLott provides exceptional lottery software for the USA and other Countries ..."
(You haven't won anything) Notice how the scammer is using a 'J' in place of '£' for British Pounds Sterling, and yet they did use a '£' in the Subject Line. This is why I suspect the scammer is not located within the UK. If they are in the UK and this is simply a copied document, they did not take any time to do the substitution. The link above is a true story from istockanalyst. com. Pepsi's number one seller is actually Mountain Dew, but they would still like to boost the sales of their flagship product. They are therefore planning on spending some extra money for marketing and advertising. It could mean that certain Pepsi products will be available for free, by coding bottles underneath their caps, but it does not mean that they are going to be giving away millions of dollars to individual people. See "Philanthropy," above. Fill in your online application attached correctly in bold letters and email to us immediately you receive this mail so that we can proceed with the required claim process. Congratulations! No corporation and no company holds any lottery. The four words above tell you right away that this is a scam. See "Philanthropy," above. This is not a lottery. This is simply another company that happens to sell lottery software. Notice their use of the ordinals of 2 and 3, below. Don't help them, let them figure it out on their own.